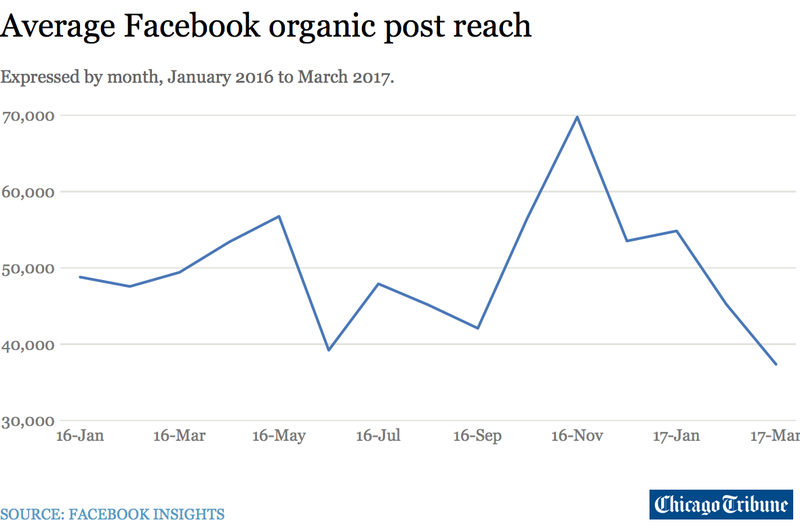 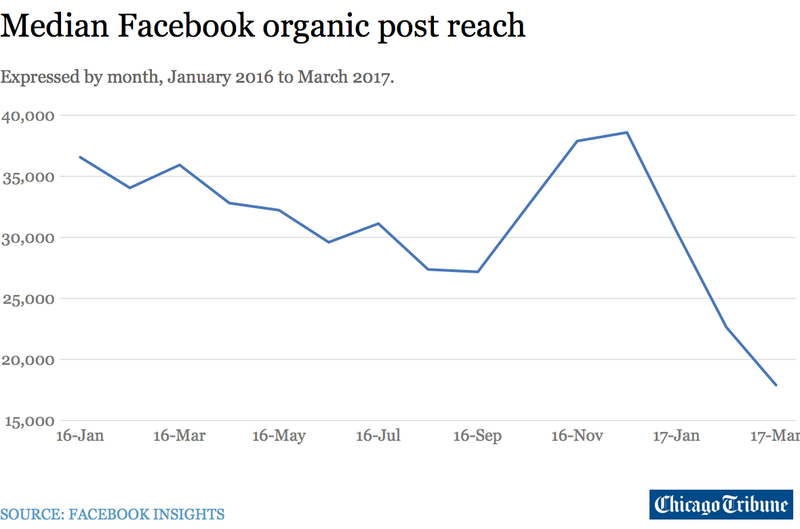 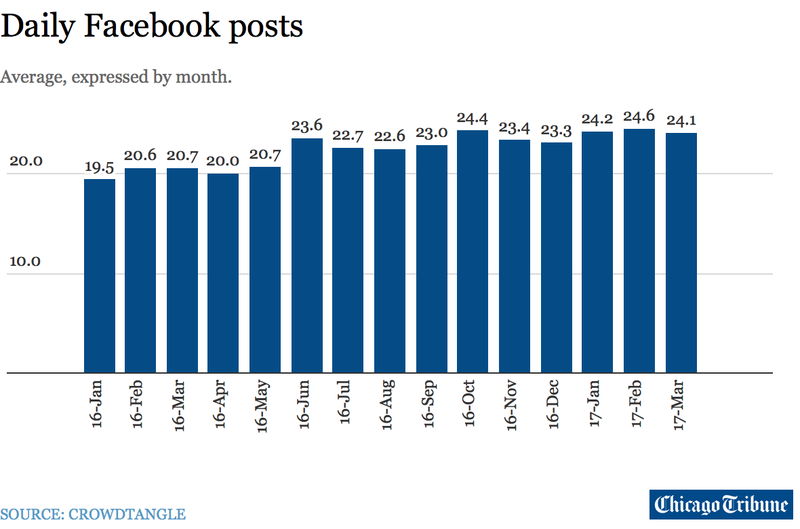 However, Facebook’s formal guidance is roughly 24 to 48 posts per day. 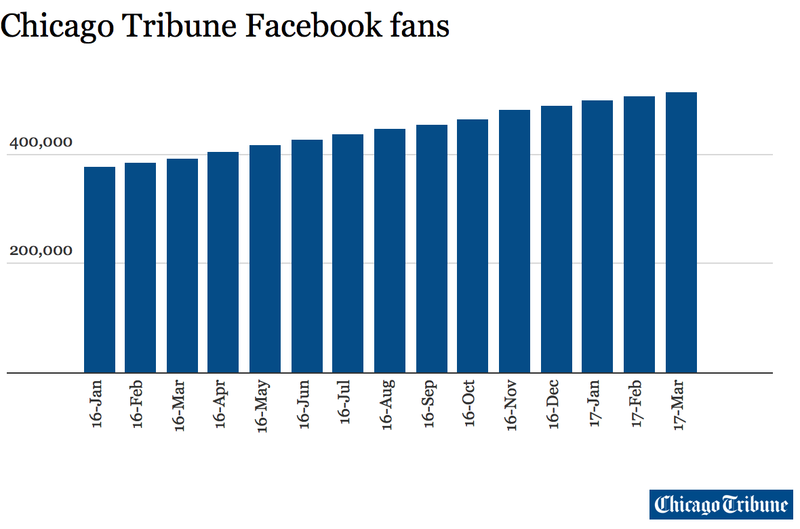 And we looked at the cadence of 23 other newspaper Facebook pages and determined we were in the mid- to low-end. 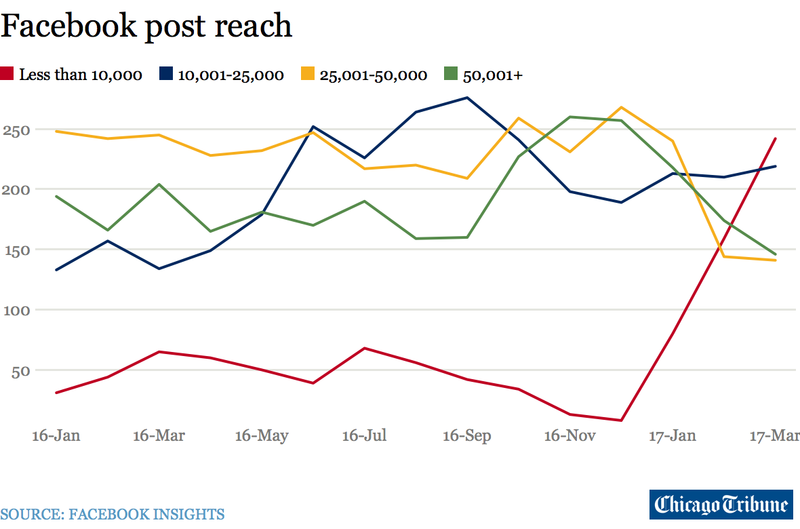 For the last six months, the Atlanta Journal-Constitution (661,551 fans) posted 74 times per day and the Houston Chronicle (385,086 fans) 58. 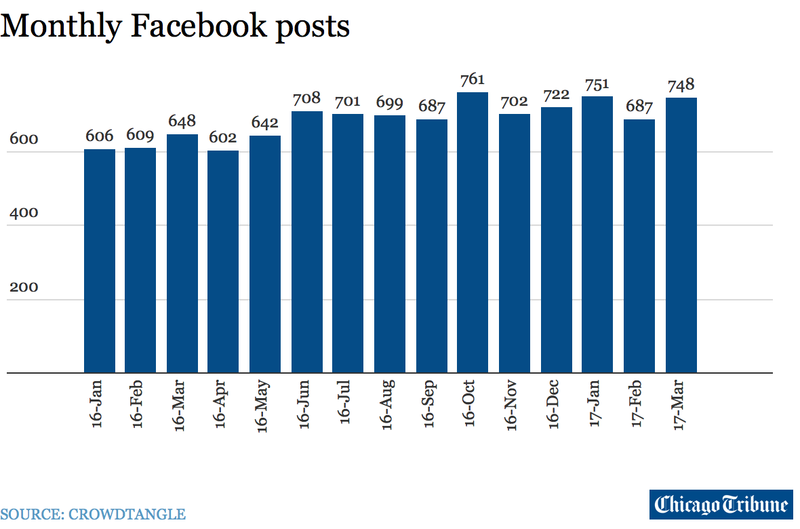 Big thanks to Digital Editor Elizabeth Wolfe for crunching these numbers with CrowdTangle to prove our normalcy.